If you're on a mission for a casual yet seriously chic outfit, rock a black crew-neck sweater with white skinny pants. These two items are totally comfortable and they will also look incredible paired together. You could perhaps get a little creative when it comes to footwear and spruce up your look with black cutout leather ankle boots. If you're in search of a casual yet incredibly stylish ensemble, pair a Stella McCartney asymmetric hem jumper with black leather skinny pants. Both pieces are totally comfy and they also look fabulous when paired together. Want to go easy on the shoe front? Choose a pair of multi colored athletic shoes for the day. If you're on a mission for a casual yet seriously stylish ensemble, pair a black crew-neck sweater with black skinny jeans. 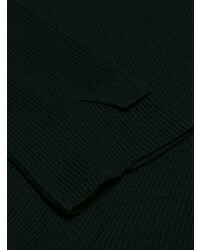 These garments are very comfy and they will also look great when worn together. Wearing a pair of black leather lace-up ankle boots is a simple way to add some flair to your outfit. If you're all about comfort dressing when it comes to fashion, you'll love this adorable pairing of a black crew-neck sweater and blue ripped jeans. Dress up this outfit with black leather ankle boots. 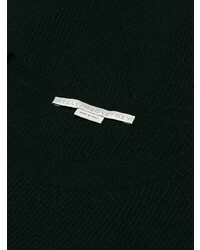 If you're on the lookout for a casual yet totaly stylish outfit, try teaming a Stella McCartney asymmetric hem jumper from farfetch.com with blue jeans. As well as very comfortable, these garments look fabulous paired together. Take a classic approach with the footwear and rock a pair of orange leather knee high boots. 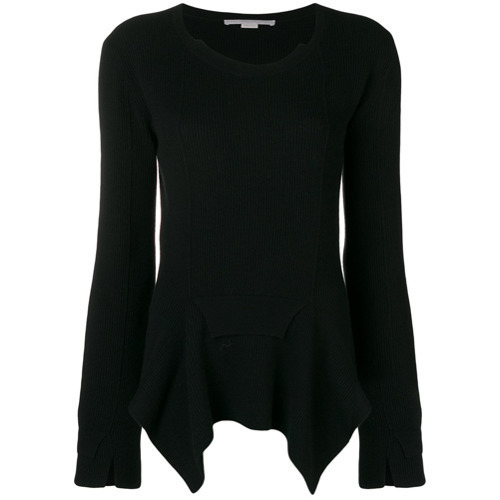 If you're on a mission for a casual yet totaly chic outfit, marry a Stella McCartney asymmetric hem jumper with charcoal skinny jeans. These garments are very comfortable and will look wonderful when worn together. Such items as a Stella McCartney Asymmetric Hem Jumper and white wide leg pants are the ideal way to infuse effortless cool into your day-to-day collection. Introduce white and black leather low top sneakers to this ensemble to infuse an element of playfulness into your ensemble. If you're after a casual yet totaly chic outfit, pair a Stella McCartney asymmetric hem jumper from farfetch.com with a pink tulle full skirt. As well as totally comfortable, these pieces look incredible when paired together. Sporting a pair of black satin pumps is an easy way to add some flair to your ensemble. 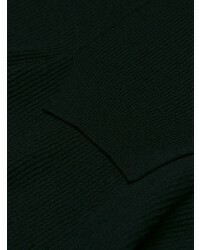 If you're hunting for a casual yet stylish getup, team a Stella McCartney asymmetric hem jumper from farfetch.com with navy skinny pants. As well as very comfy, both of these garments look amazing when worn together. Rocking a pair of black leather ankle boots is an easy way to add some flair to your look.